Fire table is a practical design element that is often a part of modern cottages equipment. It is characterized by versatility and mobility. Thus, the product can be used as an ordinary table, fireplace or stove for making a wide variety of dishes, as well as combining all these functions simultaneously. The design of the device is usually a bowl on a platform with support base and a place to put the wood or containers with gas. Professionally decorated tables can be quite different. At their creation metal, stone, ceramics are used. How to choose the best model that would not only fit into the style of state summer residences, but will be able to perform practical functions? First of all, you need to decide on the purpose for which a fire table is purchased. Will it carry out a purely decorative purpose or serve as a cooking and meeting place for friends and loved ones? It is best to install it on a spacious site, anywhere in the gardening area. 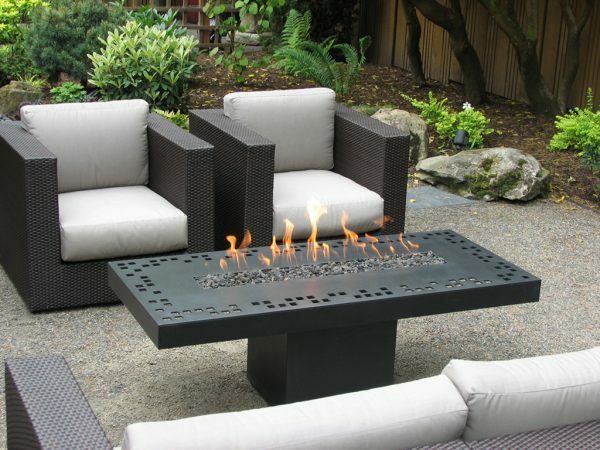 Choosing a fire table, it is worth considering, both its design, type of fuel, as well as weight, especially if you plan to change the location of the product from time to time. If you plan on cooking, you need to install special equipment accessories, such as roasters. If fire table is made of metal, it is better to choose one that has a special coating that protects it from negative environmental impact, particularly moisture. If manor is designed so that the fire table installation can be made only outdoors, do not leave it open. It is necessary to take care of the product protection from different weather effects, for example, to buy a rain cover. When installing or choosing the table location, it is necessary to take into account the structural features. Typically, the products have a practical shape with an emphasis on safe usage. Special design elements are constructed to eliminate the risk of fire and the free flow of burning coals. And the container itself where combustion materials are placed, is raised on a platform up to 40 cm from the surface. Because of this, the product can be installed anywhere at the garden area, without worrying for the safety of the grass cover. Cleaning the table is very simple, steel bowl with ash can be easily removed and cleaned. And if you do not want to do the cleaning today, you can simply close the bowl with all the grills until the next use. The table is easy to assemble and disassemble and, if necessary, it is possible to replace a single part of the table without replacing the entire table. 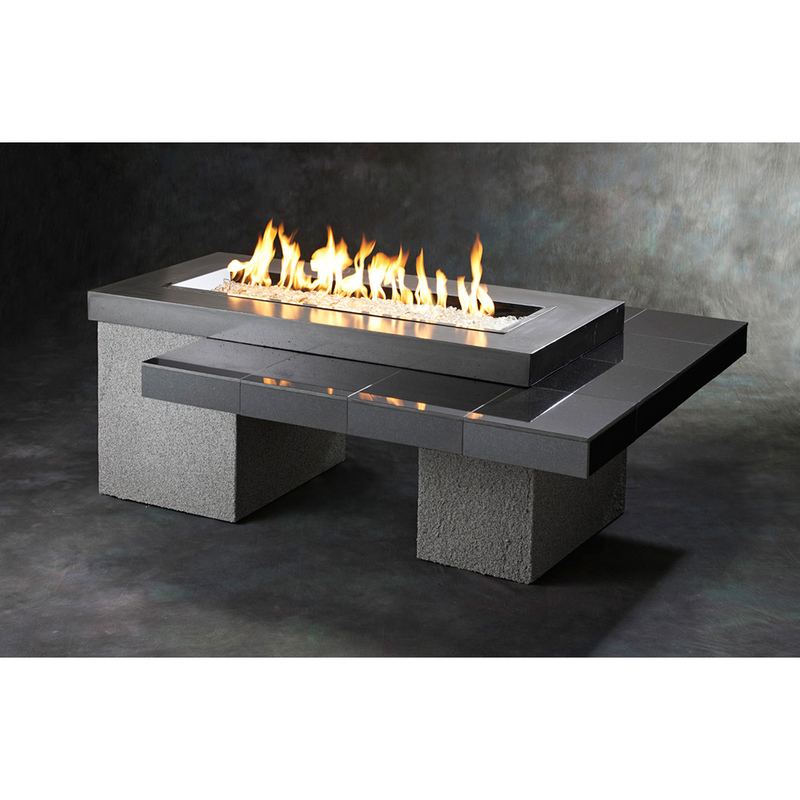 Fire table is not only beautiful, but also a multi-functional design element. Its purchasing and location on the plot makes the latter even more comfortable and convenient for living and entertaining.